Yema is a sweet custard candy made from condensed milk and egg yolk. 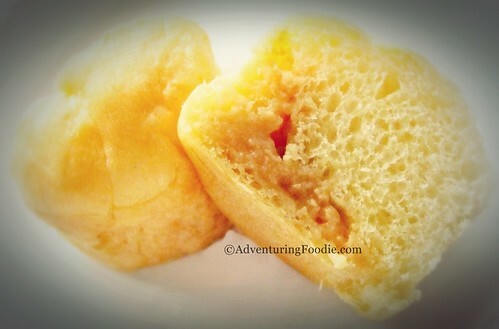 A bun with yema filling is what we call pastel. Due to the increasing demand and popularity of this sweet treat, Vjandep, the manufacturer of pastel, expanded their business by using other fillings. Aside from yema, they now have strawberry, chocolate, mango, durian, guava, makapuno (coconut), and more flavors to choose from. These varieties of pastel have been out in the market as a take-home delicacy from the province of Camiguin. 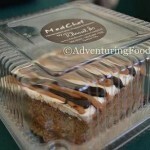 However, it’s also available in Cagayan de Oro, the nearest city which has been the biggest distributor of pastel. Pastel buns are sold in boxes of 6 and 12. Since other people don’t like one flavor in one box, the box of 12 can now be bought with assorted fillings. 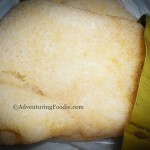 When I visited Camiguin, I bought one box of yema-flavored buns, loving the way that it satisfied my sweet tooth. My friends in Luzon never forget to remind me to bring them 3-5 boxes of pastel whenever I go there. 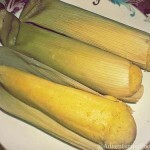 It has become one of the best-known delicacies not only in Camiguin and nearby cities, but in the whole Mindanao as well. 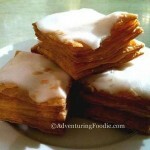 To those who have plans of going to Southern Philippines, don’t forget to take home a box or two of pastel. It is a delicacy everybody should have the opportunity to enjoy!